Robert Rouse, owner of Woodlands Wholesale Nursery, is an expert in building startup businesses and then selling them. Although Rouse was familiar with landscaping through another company he owned, he had to learn about the finer points of the garden plant industry mostly on his own. The business has been in operation for almost a year and a half and serves The Woodlands, Conroe and Magnolia areas. It sells a wide range of garden products, including seasonal plants and larger trees to both landscapers and individuals. With more than 1,500 varieties of plants, the full service nursery outlet staffs 10 full-time employees. Much of the nursery’s staff is focused on taking care of the customers who visit the 4-acre facility on a daily basis, Rouse said. The nursery also stocks more than 200 types of shrubs and tree species as well as rose bushes in many sizes and colors. Crepe myrtles, oaks, Japanese blueberries and magnolias are among the tree varieties routinely sought out by customers, Rouse said. Rouse previously owned a business for about seven years located next to his nursery that specialized in selling landscaping rock. He eventually sold the business. Rouse then partnered with former customer, Horatio Albiter, a professional landscaper, and decided to open the wholesale retail nursery in 2014. Rouse said Albiter will eventually run the nursery himself. He said it is important to have an educated and knowledgeable staff to help customers feel at home. Many of his guests moved to Texas from other parts of the country so they want their house to look like it did elsewhere, he said. Rouse said it is important to know where plants should be placed to prevent the landscaping from looking messy. 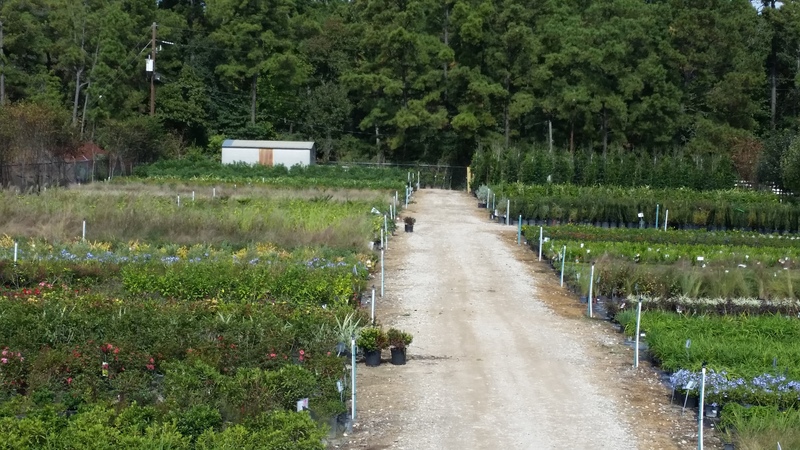 Woodlands Wholesale Nursery carries a large inventory of plants, shrubs and trees. Ten full-time employees service the 4-acre facility, which carries a number of plants and flowers considered to be area staples, including oaks, roses, magnolias and junipers. Hours: Mon.-Fri. 7 a.m.-4:30 p.m., Sat. 7 a.m.-3 p.m.